Prepare your grill for grilling. If using gas, preheat the grill to its medium setting. 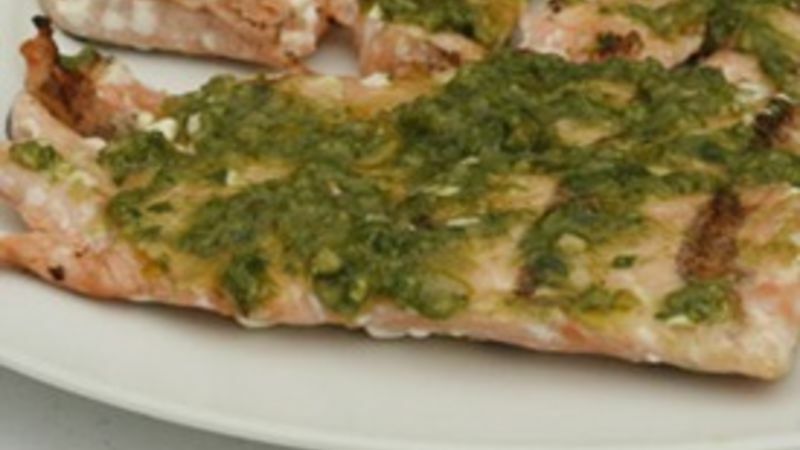 Place the salmon filets on the grill and cook for about 5 minutes on the first side. Flip and divide the pesto evenly among the filets, spreading to coat. Cook for an additional 5-7 minutes, until cooked through. It should flake easily with a fork.